other forms of care for seniors. Our dedicated interdisciplinary hospice teams provide end-of-life medical, emotional and spiritual care. Our team members have focused their careers to use their extensive knowledge, professional experience, and most importantly, a mission-driven commitment to support our patients and their loved ones. The Medical Director (MD), who along with the hospice care team, develops the patient’s plan of care. The Medical Director assesses the patient’s needs, prescribes treatments and medications that will offer the patient the best quality of life and provides the medical guidance for the interdisciplinary team. The Patient Care Manager (PCM) is a registered nurse who coordinates communication and manages the entire clinical team. The PCM keeps the team focused on outstanding patient care. The Patient Care Secretary (PCS) provides administrative support to the clinical team. The Licensed Practical Nurse (LPN) supports the NCM when necessary to provide outstanding patient care. The Kansas Registered Home Health Aide (HHA) provides assistance with the personal care needs of each patient. Home Health Aides provide emotional support and comfort measures to the patient and family. As an integral part of the care team, the HHA reports any identified needs to the nurse case manager. Trained Volunteers provide support to the patient and family in non-traditional roles, such as letter writing, running errands, providing companionship to patients or simply being in the home or inpatient facility as an active listener. Everybody loves the volunteers! Chaplains provide spiritual support to patients and their families during their time with Mother's Touch. Chaplains may serve as a connection between the patient and community clergy. Our chaplains are available to meet with members of all faiths to affirm your beliefs. Our chaplains also assist with memorial services and funeral arrangements when needed. Our chaplains are highly involved with our bereavement support groups. Bereavement services continue for family and loved ones 13 months after the patient’s death. Social Workers provide assistance with finding financial, community, and emotional resources in the community. They facilitate communication and support families with counseling as only a medical social worker can. The Pharmacy provides medications related to the patient’s hospice diagnosis and delivers to the home. The Medical Equipment Company delivers supplies that the nurse case manager deems necessary for the patient’s care and comfort. This may include a hospital bed, shower chair, bedside commode or other items. 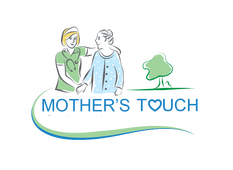 The Attending Physician’s role is integral to the overall management and care provision for your hospice patient.